From Trains to Space – Saft Celebrating 100 years. 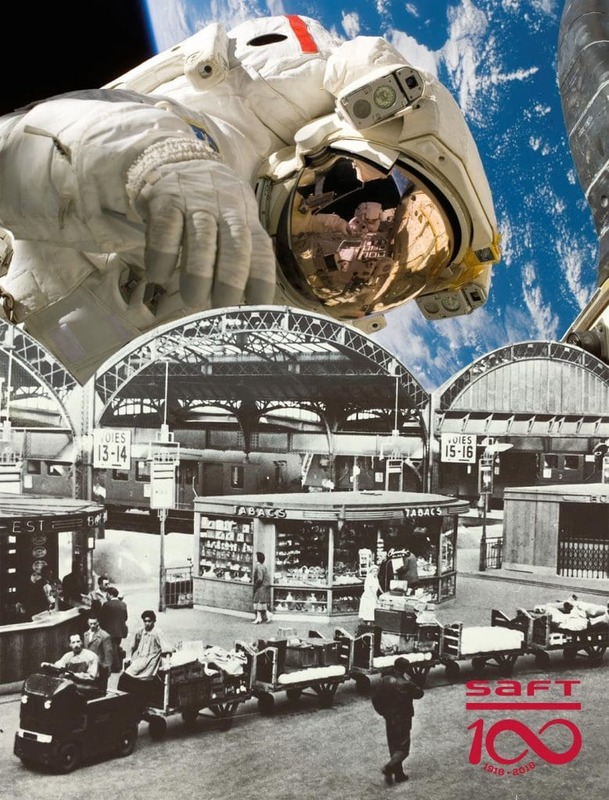 Home > News > Events > From Trains to Space – Saft Celebrating 100 years. As we all welcome in the new year, our friends at Saft are celebrating 100 years of being in business. Over the 100 years their batteries have powered numerous market sectors, including space, marine and medical. While many of these fields have had the world in awe over the 100 years, more than likely there’s been a Saft battery somewhere out of sight, selflessly powering the application. Take a look at Safts 10 batteries with extraordinary stories to read about the challenges Saft have overcome in their 100 years. It all began in Romainville, near Paris, France in 1913 with Swiss chemical engineer Victor Hérold, although the first world war postponed the first production until 1918. Some of Safts first nickel-based batteries were used to power luggage carousels in the Paris railway stations. 1965 – Saft files its first patents on primary lithium. 1969 – Li-SOCl2 electrochemistry discovered by Saft – Concorde prototypes make their first flights using Saft nickel-based batteries. 1989 – French explorer Jean-Louis Etienne and his team embark on their Transantarctica mission for seven month, powered by Saft batteries. 2003 – The Northrop Grumman Global Hawk contract signed: the first lithium-ion aircraft application. 2004 – The Mars Exploration Rovers “Spirit” and “Opportunity” land on Mars with Saft batteries on board. 2005 – Saft’s Battery Energy Storage System in Alaska, recognized by the Guinness Book of Records as “the world’s most powerful battery”. 2007 – Launch of Tel.X range, the most compact maintenance-free solution for telecom networks. 2011 – Launch of Intensium® Max megawatt-scale containerized energy storage system. 2012 – Milestone 1 MWh of Saft lithium-ion batteries in space. 2017 – Saft celebrate 100 years of manufacturing. As a proud distributor of Saft, Cell Pack Solutions hold a large stock of their Lithium Thionyl Chloride cells and are also available to use in our custom battery packs. To see our stock, click here.